Wine of Martinborough, New Zealand. 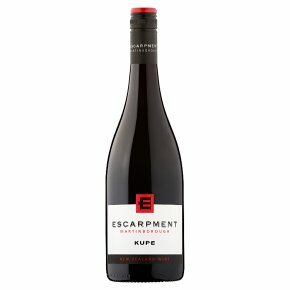 Pinot Noir - Red New Zealand Wine The vines which created this wine have been our pride and joy since being planted in 1999. This is the seventh release from The Escarpment Vineyard's close planted vineyard on Te Muna Road, Martinborough. The season was exemplary for this block being the first fruit picked after a warm early ripening period. It was harvested in brilliant condition in April 2011. The wine was given every priority during its élevage and now shows all the hallmarks of a great young wine on release in March 2013. It is at the vanguard of Pinot Noir style in the New World and should age gracefully for up to 10 years.